Every year, many people are injured from on-site accidents. Statistics published by HSE show that in the first quarter of 2018/19 (April to June), 27 workers and 13 members of the public have died in fatal workplace accidents across all sectors. Whilst having first aid kits on site will ensure worker injuries are treated immediately, reliable first aid alarms are a crucial piece of equipment to speed up emergency response time. Bradley Markham, director at Bull Products, explains why companies should invest in first aid alarms for their next project. According to The Health and Safety (First-Aid) Regulations 1981, companies are required to provide adequate and appropriate first-aid equipment, facilities, and people so employees can be given immediate help if they are injured or taken ill at work. First aid kits are compulsory on building sites and locating them in prominent positions around your site is equally important. It’s also important that first aiders are immediately notified in an emergency to protect workers – and this is where wireless first aid alarms play a crucial part. By having a first aid alarm on site, workers can ensure first aiders are notified immediately of any incident and its location, thus providing maximum protection in an emergency. 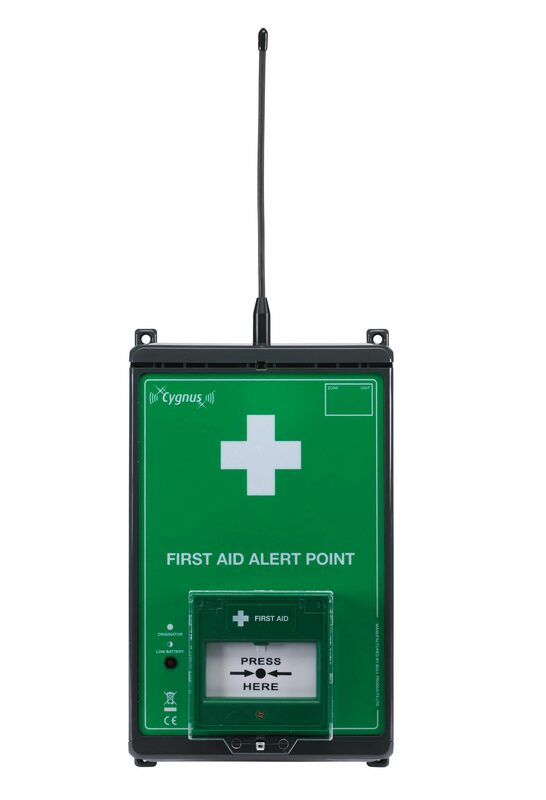 Our Cygnus First Aid Alert Point Alarm offers total peace of mind for workers and can be installed in minutes without the need to drill holes or lay wires. It can also be connected to our new Autodialler GSM System which allows site managers to pre-programme up to nine phone numbers of responsible persons in an emergency who are then notified by voice message or SMS if a first aid incident has occurred. First Aid Kits can be incorporated with our First Responder Stations, a central point for safety equipment and emergency alarms. This will ensure your first aid alarms can be located wherever your site needs them the most.